A jacket sown entirely from Ziplocs won’t keep you warm at night or keep you dry when there’s a storm raging outside. However, it can let you snack to your heart’s content because after all, you are wearing a bag made from Ziplocs. Obviously, it’s not recommended to fill any of the bags with liquids of any kind at all, even though you might use Ziplocs to store wet leftovers or snacks in your fridge at home. What it’s great for, though, are sandwiches, candy, pretzels, Pop-Tarts, chocolate, and chips. 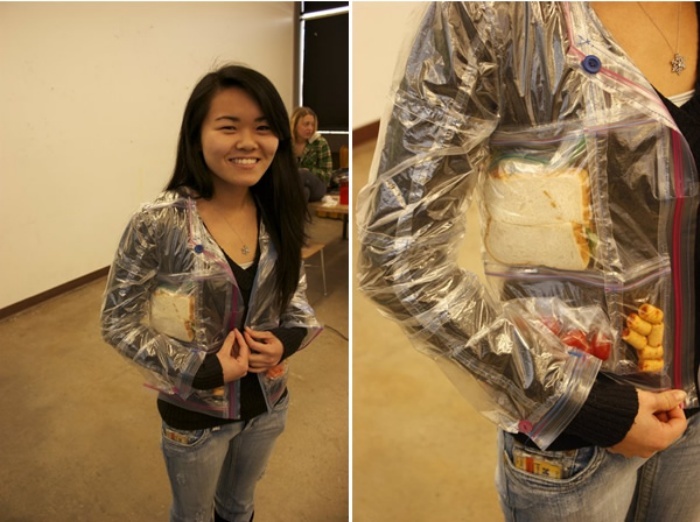 The jacket became viral after Tumblr blogger Jaya wrote about how one of her friends put together the Ziploc jacket.